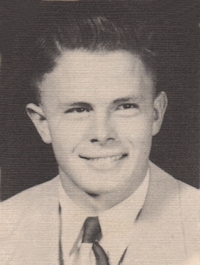 Obituary – Porter, Roy Earl « Perry High School Alumni Association, Inc.
Basketball 47-50, Baseball 48-50, Football 48-49, Class Vice—President 46-47, Home Room President 47-49, Teen Town Council 49-50. Services will be 10:00 AM Friday, June 10, 2016, at First Baptist Church, with Rev. Byron Williamson, pastor, Joe Mabry and Carl Novian, officiating. Burial will follow in Fairview Cemetery with military honors courtesy of the U. S. Army. Arrangements are under the direction of Carmichael-Whatley Funeral Directors. Mr. Porter was born March 13, 1932 in Blackwell, Oklahoma. He graduated from Perry High School in Perry, Oklahoma in 1951. Roy was a veteran of the U. S. Army, serving during the Korean Conflict, while pursuing his bachelor’s degree from Oklahoma A&M, which is now Oklahoma State University. He completed his degree in 1957. He worked for Texaco in Lefors, and during that time, he met Pat Cargile in Pampa. They married in 1958 and moved to Cortez, Colorado where Cheryl was born. Their next move was to Ardmore, Oklahoma where Roy worked for the Army Corps of Engineers. They moved to Amarillo in 1961 where Mark and Cheray were born, and then moved to Denver, Colorado in 1977 where he worked for Geological Survey. They moved to Bartlesville, Oklahoma in 1980, working with the Department of Energy, and then moved to Pampa in 1989 where he began his retirement. 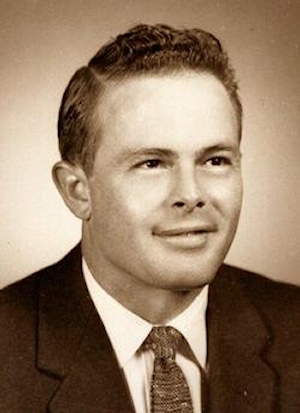 Roy was ordained as a deacon in First Baptist Church in Amarillo and served over 40 years as a deacon and teacher in the numerous churches they attended. He enjoyed playing golf, wood working and reading. Roy’s greatest ambition throughout his life was to be a loving husband and amazing father to his children. Survivors include his wife of 58 years, Pat Porter of the home; a daughter, Cheryl Porter Chumbley and husband Todd of Pampa; a son, Mark Porter and wife DeAnna of Sioux City, Iowa; a daughter, Cheray Wolken of Bartlesville, Oklahoma; four grandchildren, Leanne Dyson, Jessica Wolken, Chad Porter and Michaela Wolken; three great grandchildren, Brayden Dyson, Faith Hall and JohAnna Wolken; and an aunt, Andrea McClusky of Billings, Oklahoma. Roy was preceded in death by his parents, Roy E. Porter Sr. and Gertrude Porter. Memorials may be made to First Baptist Church, PO Box 621, Pampa, Texas 79066-0621, or a charity of choice.